Photonics is the science and technology of generating, controlling, and detecting photons. It underpins technologies of daily life from smartphones to laptops to the Internet to medical instruments to lighting technology. Businesses in the field of photonics and light-based technologies work on solving key societal challenges, such as energy generation and energy efficiency, healthy ageing of the population, climate change, and security. Photonic technologies have major impact on the world economy with a current global market of €300 billion and projected market value of over €600 billion in 2020. But most people around the world has no idea about what Photonics is. Therefore global initiatives such as the International Year of Light and Light-based Technologies 2015 (IYL 2015) are of vital importance to bring Photonics closer to society. 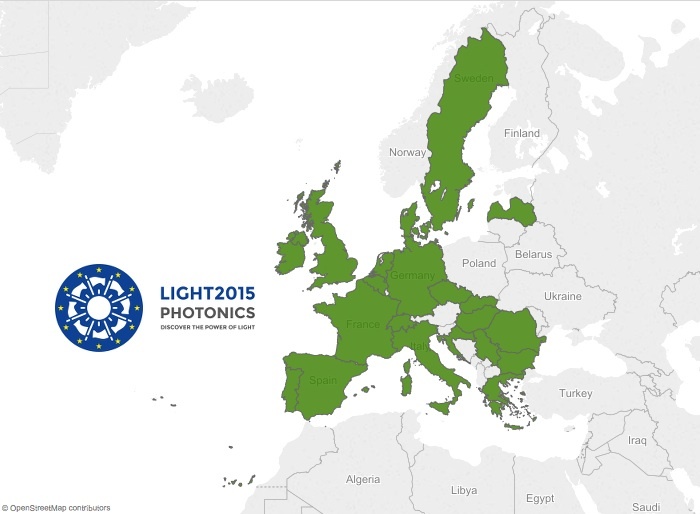 Three European projects – GoPhoton!, Photonics4All and LIGHT2015 – share these goals to make Photonics a household word. Their aim is to raise awareness among the public, young people and entrepreneurs of what Photonics is, and how and why Photonics is an essential technology of the future. They want to inspire a new generation of young scientists using Photonics with hands-on activities to promote the excitement of Photonic science and to strengthen networking and collaborations across societies in Europe to promote the EU as the World Hub of Photonics. GoPhoton! is coordinated by the European Centres for Outreach in Photonics (ECOP) and funded through the 7th framework programme of the European Commission. The highlights of the project are the “PhotonicsSplash” events that have been organized across eight European cities (Barcelona, London, Berlin, Paris, Brussels, Bratislava, Galway and Milano) during the IYL 2015. During each PhotonicSplash, students, teachers, members of industry and research institutes as well as the general public have the opportunity to learn about Photonics by attending many open day events. These events include exhibitions, talks, workshops and many other educational, entertaining and fun events based on the concept and applications of light. For instance, more than 240,000 visitors have participated on the exhibition Discover the Power of Light organized by GoPhoton! in Brussels, Belgium. GoPhoton! has also developed smartphone apps which illustrate the power of the smartphone as a photonics tool. The apps are educational with a focus on how smartphones and photonics have applications in healthcare. Participants of PhotonicsSplash in Brussels, Belgium. Credit: GoPhoton!. Photonics4All is a project coordinated by the Steinbeis-Europa-Zentrum and funded by the Horizon 2020 programme of the European Commission. 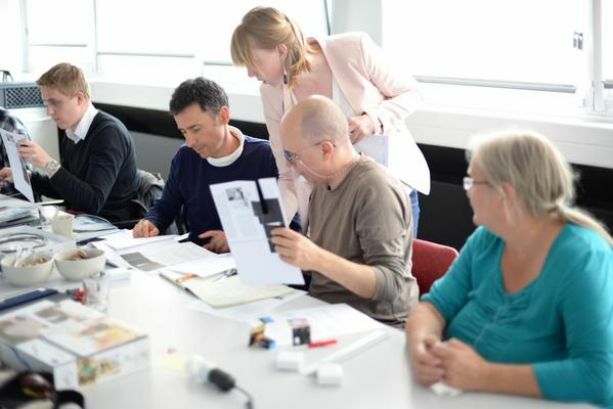 The project’s unique approach is that it combines the development of new promotional photonics educational tools and their delivery during a wide range of outreach activities with different audiences. Participants of the Photonics4All Science Slam. Credit: Photonics4All. It addresses young people at events like ‘children universities’ with hands-on Photonics experiments, using the Photonics Explorer Kit. A Photonics App, Game and Quiz will be developed by the Photonics4All team to provide additional outreach tools to educate young people about photonics. An animated photonics video will be developed and shown to young children and their families at local events and cinemas. Young Entrepreneurs will also be targeted during the project with a number of tools and events produced for them such as; the brochures “Study Photonics!” and “Create a business with Photonics!”; an entrepreneurial boot camp; Photonics workshops, and a ‘Start-up Challenge’. The General Public are also reached with engaging bookmarks which describe five important Photonics applications which benefit our lives, and they will be invited to attend special events like ‘Science Slams’ and photonics campaigns. An “OmniLight Laboratory” is also being designed to inspire large audiences with information about photonics and its practical applications through the use of fascinating demonstrations. LIGHT2015 is a project coordinated by the European Physical Society (EPS) and also funded by the Horizon 2020 programme of the European Commission. Countries reached by the LIGHT2015 project so far. Credit: LIGHT2015 Project. The iSPEX-EU campaign was a citizen science experiment where thousands of participants used their smartphones to measure air pollution in 11 major European cities around Europe. The campaing was carried out from 1 September until 15 October and was a major success, attracting also large media coverage from important outlets such as BBC in the UK or El Mundo newspaper in Spain. LIGHT2015 also has distributed Photonics educational kits to schools and trained over 250 teachers on 10 European countries to support the scientific education at secondary schools. 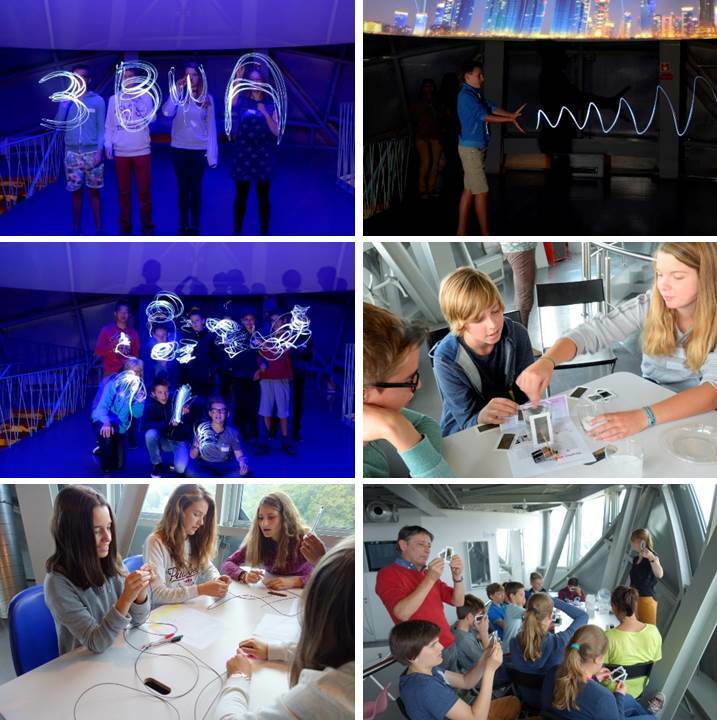 It is expected that around 12,500 students will use the Photonics Explorer kits during 2015. Teacher Training Workshop organized in Brussels, Belgium within the framework of the LIGHT2015 Project. Credit: LIGHT2015 Project. The activities comprised in LIGHT2015 also include the LIGHTtalks events. 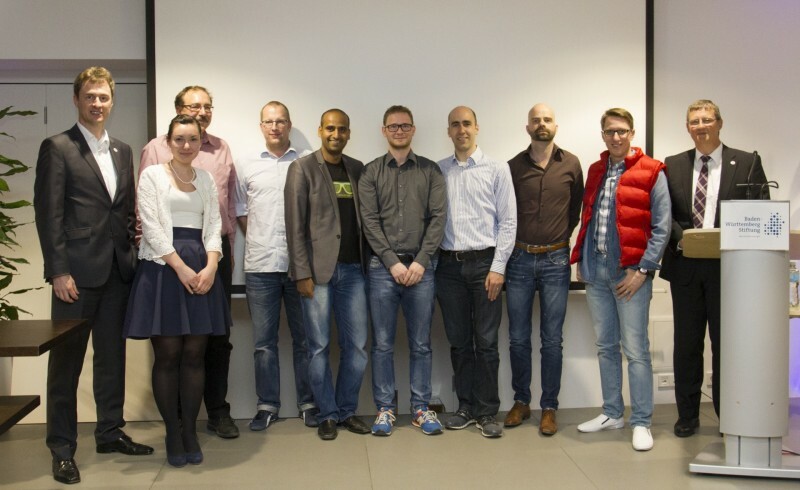 These events, originating as part of the GoPhoton project, are a series of inspirational talks that are taking place in different European cities in order to bring photonics closer to students, entrepreneurs and member of the industry in the local communities. The LIGHT2015 project also organized the LIGHT2015 awards that honour young women and entrepreneurs working in the field of photonics as well as collating 100 Educational activities about Light and Photonics and producing two videos focused on careers and entrepreneurship in Photonics that will be translated to all official EU languages. Find more information about the project on the LIGHT2015 website and latest updates on its Facebook and Twitter channels. Jorge Rivero González (@jorgegrivero) was born in Las Palmas de Gran Canaria, Spain. He is a science communicator working at the European Physical Society (EPS) as the EPS IYL 2015 Outreach Officer. 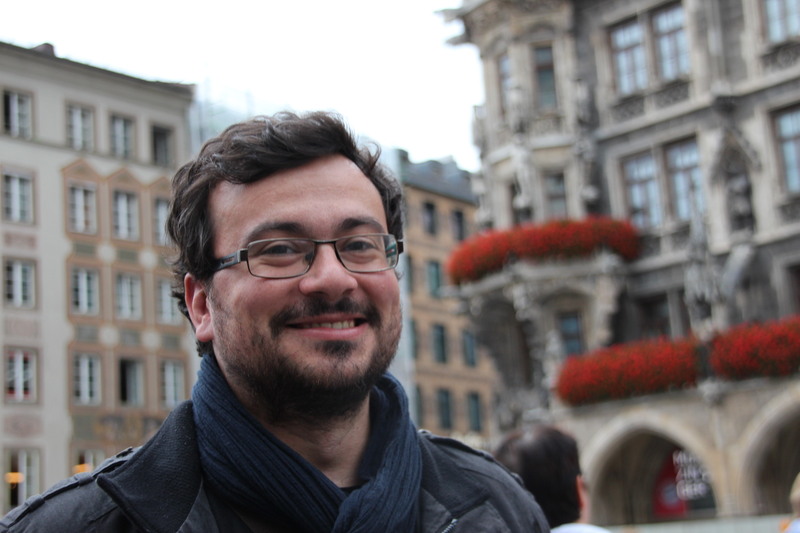 He is also IYL 2015 Press Officer and editor of the IYL 2015 blog. Before that he spent four years living in Munich while he was doing his PhD in Astrophysics at the University Observatory Munich. Since 2009 he is a member of the science outreach programme GalileoMobile.